This Dallas Cowboys 8x10 photo has been personally hand signed by former Cowboys star running back DeMarco Murray. 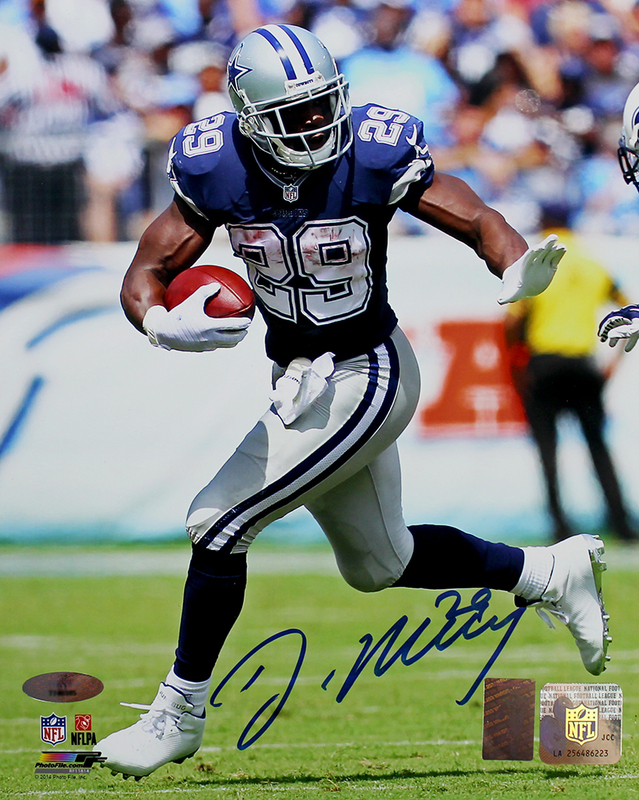 Each autographed photo includes authentication from TRISTAR, as well as a DeMarco Murray authenticity hologram. DeMarco Murray, drafted by the Dallas Cowboys in 2011, currently holds the team record for single season rushing yards with 1,845. At the end of the 2014 regular season, the 2-time Pro Bowler led the NFL in Rushing Yards and was the co-leader in Rushing Touchdowns. He also set an NFL Record with 8 straight games with 100+ rushing YPG to begin a season.